Later this week, throngs of local riders and motorcycle enthusiasts who have been cooped up since fall and whose choppers have been in storage for months will enjoy a brief escape from the cold, dark, dull bikelessness of winter. Mama Tried is a long weekend of motorcycle-related fun that features an indoor race on a track covered on Friday, an indoor invitational that showcases an amazing array of custom-built bikes, a Midwest premiere of a motorcycle movie, and more. Beyond the cycle-centric stuff, a wealth of Milwaukee bands, bars, restaurants, and venues are getting in on the Mama Tried fun, with pre-show performances and after parties (of both the official and unofficial varieties). If you’re looking to add more entertainment to your Mama Tried experience this weekend, here’s literally everything we know about what’s going on this weekend. The long Mama Tried weekend officially kicks off at Harley-Davidson Museum’s “Shovelheads & Sweethearts” bike night on Thursday night. From 5 p.m. to 9 p.m., the museum and the affiliated/attached Motor Bar & Restaurant will host a ’70s-themed affair that includes a “Boonie Bike Showdown,” a mock jam from the Brew City Bruisers, and era-specific music curated by True Skool. And of course, there will be food and drinks on hand. Gear up for a wild weekend at Fuel Cafe on 5th Street. As you’ll see as you continue down this list, the bar/restaurant and coffee shop should pretty much be your headquarters when you’re not at any events. Starting at 7 p.m., Fuel will host an official Kick Off Party, complete with a Black Sabbath vs. Metallica DJ set from Frank Straka and specials on Good City beer. Also at Fuel on 5th (see?! ), you can enjoy a Bulleit Biker Brunch all weekend long. From 8 a.m. to 3 p.m. from Friday through Sunday, you can enjoy the cafe’s always excellent brunch, a warm wake-up provided by Bulleit shots, and motorcycle films. Racers race vintage Harley Davidsons at the UW-Milwaukee Panther Arena during Mama Tried’s Flat Out Friday. Once the fumes clear from Flat Out Friday, make your way to The Cooperage for an awesome after party featuring biker-suited tunes from Toke, Big Balls, Kingston Burial, Jason Robson, and Kenny B Wangin’. While not official, the fine folks at Cactus Club are giving bikers and motorcycle enthusiasts another entertainment option with a wicked and wonderful post-Mama Tried party. The veteran Madison rockers in Droids Attack head up a solid show that also features Full Vinyl Treatment, Powerwagon, and Preomnor. 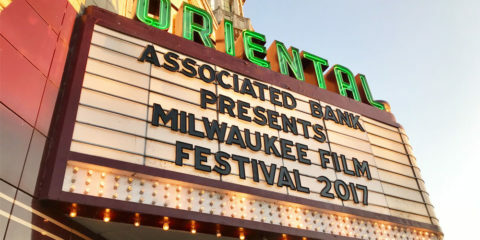 Last year, Mama Tried featured a full-fledged motorcycle film festival as part of the event. This time around, they’re only going to focus on one film. Mama Tried will host the Midwest premiere of Oil In The Blood, a feature-length film about the world of custom motorcycles. Saturday’s screening is at 8 p.m.
After the first day of the Mama Tried show, head back to Fuel to enjoy some “old school party jams from the suddenly-quite-busy Kenny B Wangin’ from 7 p.m. to close. There will also be specials on Bulleit all night long. On top of the official and motorcycle-related events that make Mama Tried weekend great, the various after party events help to make the February festivities even better. With all due respect to the other after parties, this stacked bill of Whips and Get Rad takes the cake. You can hear new/unreleased songs from Whips, and who knows the next chance you’ll have to see Get Rad. Don’t miss this. If you still have any energy left after everything else, make your way to Iron Horse Hotel and keep the fun going at the official after party. This goes for each and every event: please be safe out there, riders. If you missed the movie on Saturday or if you just want to watch it again, Oil In The Blood will be shown again during the final day of the Mama Tried Motorcycle Show.